In other pit bull news, our neighbors across the street, who have a 5-year-old son, just brought home a 1-year-old pit bull from the animal shelter. This is a terrible idea because they don’t know the background of the dog, what is its history with people, adults, children, with other dogs, etc. Of course that’s true of rescue dogs of any breed, but the worst-case scenarios with most breeds don’t include maiming or killing a family member, probably your 5-year-old. Even the most poorly socialized pug, golden retriever, chihuahua, etc., is not going to kill anyone. 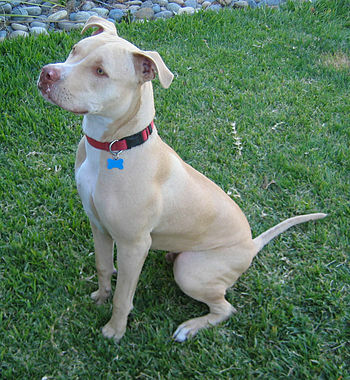 By the way, I think pit bulls are great dogs but they need to be socialized and trained. I wouldn’t get one from an animal shelter because I don’t know the background of the dog. As parenting blunders go, this is not quite up there with letting your child fall into a gorilla enclosure, but it’s close . . .
Philistinism tranquilizes itself in the trivial.